Martyn Hilbert's Railway Photography - BR Blues - Class 40, 40121 at Farington Curve Junction. Class 40, 40121 at Farington Curve Junction. 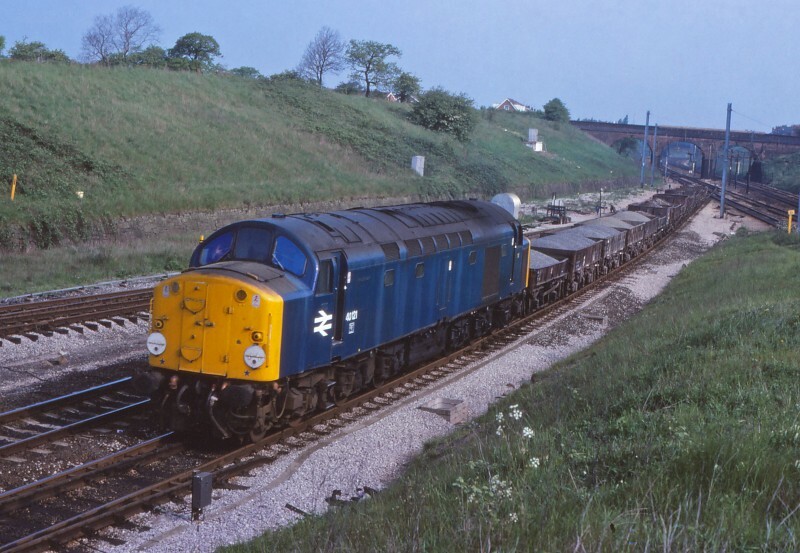 With various types of wagons loaded with fresh ballast, 40121 takes the East Lancashire route at Farington Curve Junction on May 18th 1978. The wagons are destined for the district civil engineers sidings at Brownedge on the approach to Bamber Bridge.